When you first look at the size of this model blow dryer you will think there is no way it can be that powerful. The thing is you would be very wrong. This is one of the most popular hair dryers in salons all over the world today because it is powerful, lightweight and has a host of other very nice features too. 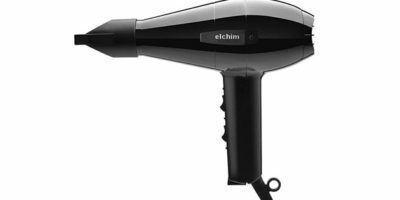 We decided to take a closer look at this professional quality hair dryer and review it so we could see why so many salon professionals are making this their hair dryer of choice. The very good features of this model blow dryer start with its motor. It produces a very powerful 1900 watts of heat and airflow. That is more than enough to dry any type of hair much faster than a standard blow dryer can. Salon professionals will really like the amount of heat it generates and those who own it for personal use will too. 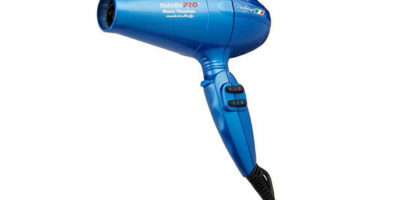 It is a salon quality hair dryer that distributes its high heat very evenly too. This is due to the ceramic coating that is found throughout its heater construction. Even heating is preferred because then one section of your hair or your clients’ hair will not get so hot it gets damaged. The strategically place cool shot button this hair dryer model has will also help keep an area of hair that you are blow drying from getting too hot also. Cool shot activation will also help freeze your freshly styled hair in place by rapidly cooling it so its hydrogen bonds reform and resist moving back to its pre-styling shape. This is also a very versatile blow dryer model which is very important for salon professionals and all the different types of hair they style. With a generous amount of heat settings (4) and 2 airflow settings, you can easily find a heat and airflow combination that is perfect for any type of hair. This hair dryer model even looks good. It is available in a large assortment of different colors so you can look good while you are styling your own hair or one of your customer’s hair. By far the best feature on this salon quality hair dryer is its amazingly compact and lightweight design considering how powerful it is. The length from the back of it to the tip of its barrel is only a little over 8 inches long. To make things even better it weighs only a little over one pound. That is a tough combination to beat as far as portability goes. It will definitely help any home user or salon professional dry hair quickly and move around unencumbered as they do so. You would think that a manufacturer that makes a really nicely designed compact and lightweight hair dryer would want to make it into the ultimate travel hair dryer too but that is not the case here. 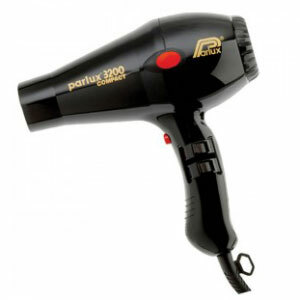 Parlux chose to not make this a dual voltage hair dryer model so it can be used all over the world. 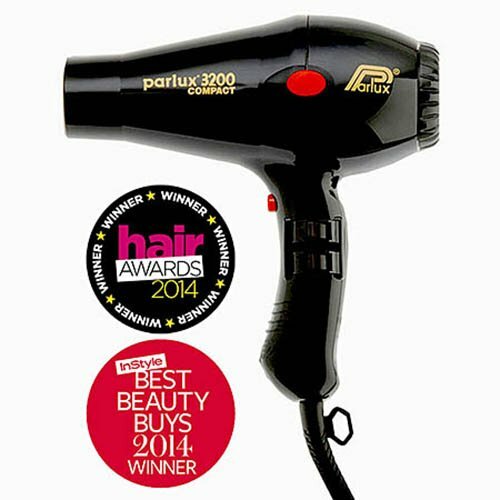 Although this model hair dryer comes with two concentrator attachments we think Parlux could have taken one step further. For the price, you pay for this salon quality product you would think they would throw a diffuser attachment into the package too. The things we did not like about this hair dryer model were to the nitpicky side. That should tell you much about the overall quality of this salon ready hair dryer’s design. Rarely will you find a hair dryer model that is this compact that packs as much punch in its drying power as this model does. That is why it is so widely popular for use among salon professionals all over the world. It’s definitely a good choice to consider buying if you are looking for an easy to handle but yet still powerful salon quality hair dryer.